Video is a content goldmine. Snapchat users tune into 10 billion clips each day. As the most popular image-based social platform in the world, it’s no wonder that Instagram wants its piece of the video pie. From Instagram Stories to Instagram Live, the channel offers a multitude of ways to stream your life to followers. Now, the ‘gram team is kicking things up a notch with the arrival of “Instagram TV,” a long-form video app accessible inside your Instagram profile. 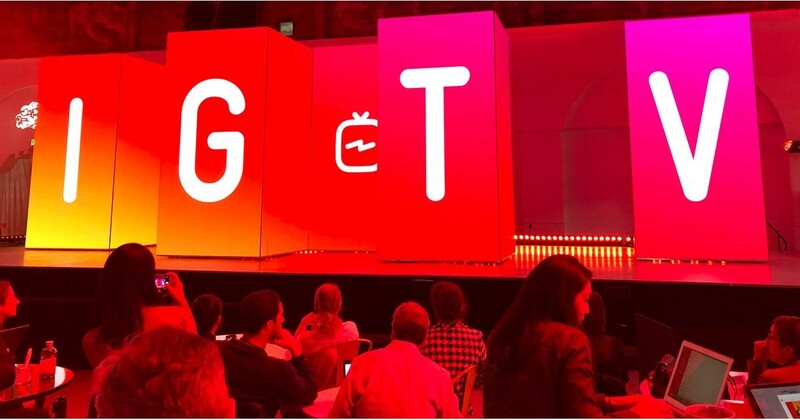 IGTV gives users access to video content up to an hour long, ideal for YouTube inspired binge-watching sessions. Here’s everything you need to know about the new Instagram phenomenon. The basics: What is Instagram TV? IGTV is a new Instagram feature and app for sharing and viewing video. The format is similar to Instagram Stories, with the significant differences being that it’s possible to upload long-form content of up to an hour and that your videos won’t disappear after 24 hours. Instagram TV is accessible either from the standard Instagram app, or from the separate IGTV app. On the original Instagram app, you’ll see it as a TV icon in the top right, and it will be highlighted if there is new content for you. 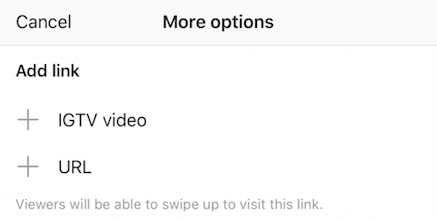 No matter which app you log into, when you access Instagram TV, video starts playing instantly based on what the IG algorithm knows about your browsing preferences. 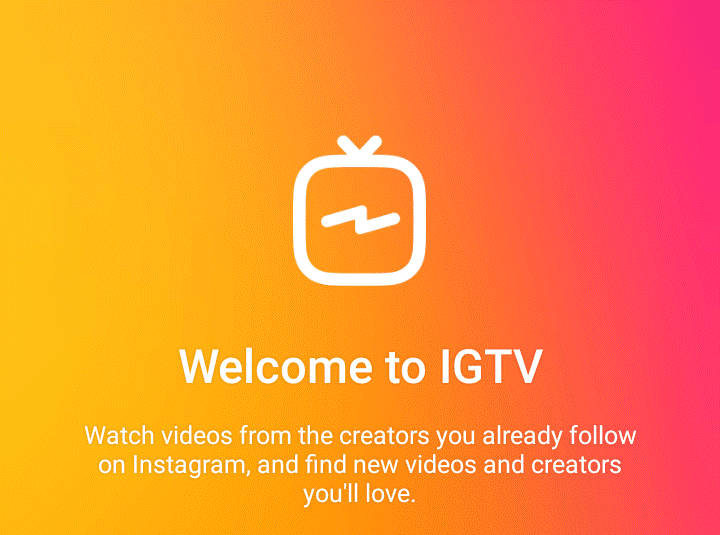 Every IGTV account links to a corresponding Instagram account. The relationship between IGTV and Instagram is a lot like Facebook and FB Messenger. You’ve got two separate apps on your phone, but they both work together to make up that a complete package. Videos are vertical and full screen. The full 60-minute recording time is only available to verified or large accounts. IGTV videos play both in the IGTV app and Instagram app. Swipe up call-to-actions are available in videos. No ad options are available yet, but Instagram may be working on this. Instagram is now one of the biggest social networks, with over a billion monthly active users. If you want to connect with a billion visually-driven individuals, then you need to know how to use all of Instagram’s many assets, including IGTV. So, you know how to set yourself up on Instagram TV. Now, you just need to figure out how to create a channel that keeps your audience tuned in. IGTV connects brands with a whole new audience. With long videos, businesses will really start to tap into the value of video – a medium which should account for 78% of all mobile traffic by 2021. Here are a few ideas to inspire your launch your Instagram TV strategy. Want to give your viewers a reason to keep coming back? Give them something new. Take advantage of the mobile-focused vertical format to establish your company as a thought leader and delight your audience with something exciting. For instance, Louis Vuitton truly embraced the power of vertical video in their twelve-minute snapshot of the Men’s Spring/Summer fashion show for 2019. From start to finish, this compelling content is a fantastic example of how brands highlight their knowledge and industry expertise on Instagram TV. Aside from showing off new products and releases, you could also consider interviews with special guests or social influencer take-over posts. With a little luck, you’ll already have a regular posting schedule for Instagram, a website and a frequently updated blog page. An Instagram TV Series is another way to give depth to your content strategy. Buzzfeed is an example of a company killing it on IGTV. It’s no big surprise since Buzzfeed has been making vertical videos on Snapchat Discover for years now. However, the company demonstrates how businesses easily add IG video to their online presence. Do you have the kind of brand that’s always reporting on the latest #trending gossip? Instagram TV is an excellent way for you to get ahead of the curve with industry news engagingly and authentically. News posts are tricky, as they’ll require you to keep a close eye on your sector and make sure you have your facts straight before you post. However, get your updates right and you could become the go-to-source of must-have insights for your customers. For example, CBS This Morning was one of the first major network channels to jump into an Instagram TV strategy. The story footage is designed explicitly for vertical viewing and it’s an excellent way for CBS to engage their audience. Everyone loves a sneak peek of what goes on behind closed doors. Instagram Live is a great way to give depth to your behind-the-scenes stories. Rather than just giving your audience a peek, provide them with as much or as little information as you like. For instance, the Food Network used IGTV to provide a quick video on how Reese’s Peanut Butter Cups are made. The great thing about behind-the-scenes videos is that they don’t need any extra editing. People want to see the real, authentic you. Be as raw and genuine as you like and you’ll still earn the respect of your followers. Now that you know the basics, it’s time to start using IGTV to your advantage. Here are some of the best ways to make your channel binge-worthy. Promotion is key to any Instagram strategy. Click on the “+” button next to IGTV video to include a teaser of the content and a direct link in your Instagram Story. Remember to cross-promote your content across your other social channels too, like Facebook and Twitter, to draw as much attention back to your page as possible. In the “description” section of your video, you’ll be able to add branded hashtags to make your content more searchable. While Instagram TV gives you more opportunities for posting long-form content, you still only have a few seconds to earn your audience’s attention. Make sure that you create videos that will capture their attention instantly. Give your audience the full TV experience by taking ideas from popular TV genres like quiz shoes or cooking channels. Offer a “How-to” tutorial like the kind you’d find on YouTube. Conduct “unboxings” or introductory videos exploring new products. Introduce your team or give your audience a tour of the office. Invite your audience to events or launch parties through IGTV. Once you have your idea, start each video with a bang. This video from Cheddar begins with a shot of a delicious freakshake to grab your attention. On Instagram, the aesthetic of your posts is crucial. The best brands know how crucial it is to maintain a cohesive brand identity across all channels. Just because IGTV gives you more freedom to play with video length, doesn’t mean you should lose track of your personality. Consistent branding improves revenue by up to 23%! Maintain a consistent tone of voice in your content. Use branded hashtags and links. Share relevant content that highlights your brand. Just because Instagram TV gives you the option to post content up to an hour long – doesn’t mean that you need to use that full 60 minutes. The idea is that you have more flexibility to create immersive content – whether it’s 10 minutes, 50 minutes, or 1 minute long. Instagram wants IGTV to be more of an alternative to YouTube, than a Netflix replacement. Typically, the shorter and sweeter these videos are, the better. The key is to keep your mind on your brand and create content that’s no longer than it needs to be. Remember, the “…” button on your IGTV app will show you some essential metrics about your videos – including your retention rate and when people start to lose interest. This might help you to figure out what kind of length your customers like best. Finally, all great social media marketers know how important it is to maintain a consistent posting schedule when it comes to keeping audiences engaged. As you start to embed your Instagram TV strategy into your social media plan, make sure you have some kind of schedule in place. 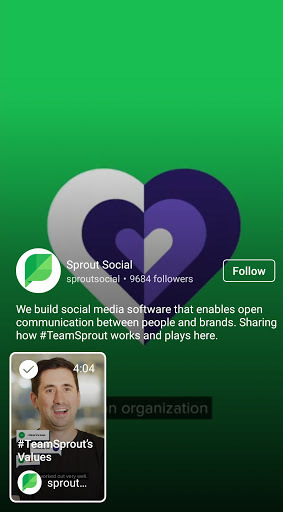 With a tool like Sprout Social, you can review your overall Instagram strategy and gather insights on how your audience engages, and when they might want to see long form content. This will help you schedule your IGTV posts accordingly. Not only will scheduling help keep your brand growth on track, but it could assist with your Instagram fame too. The IGTV algorithm is likely to work in a similar way to the traditional Instagram algorithm, which relies heavily on post frequency. As video continues to thrive as one of the most potent content formats, Instagram TV offers an excellent opportunity for brands looking to engage with their customers. If you want to make the most out of your Instagram plan, IGTV could be the next stage in your strategy. Have you started using Instagram TV yet? How do you feel about the new app? Let us know in the comments below!